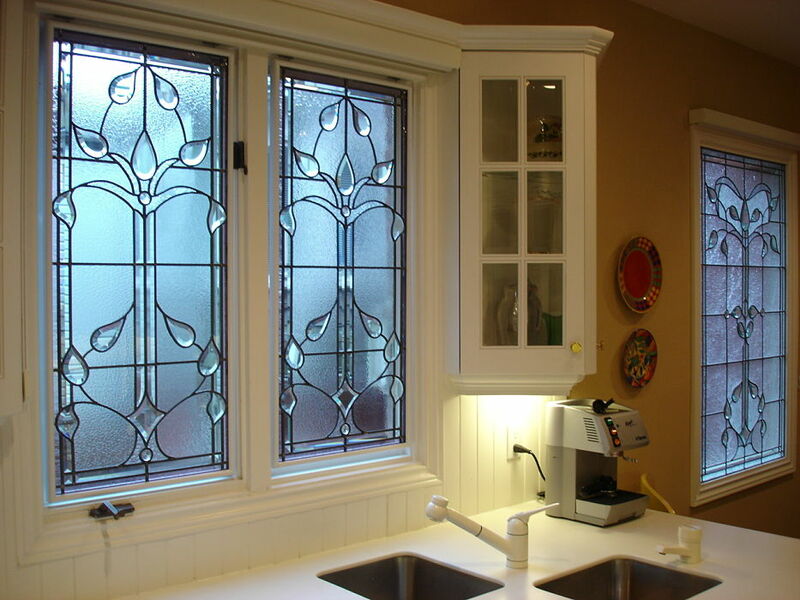 Hand bevelled, leaded glass is a spectacular art glass tradition dating back more than a century. 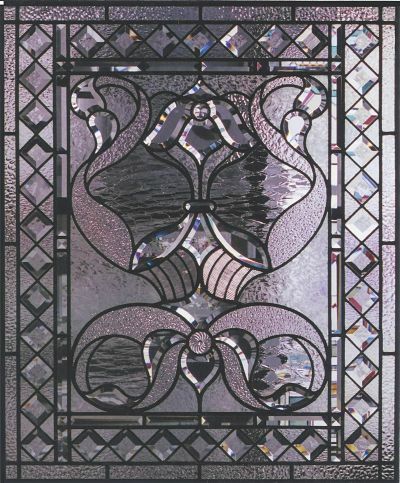 Thick, clear glass is hand ground at a steep angle and then polished to a brilliant, refractive finish. 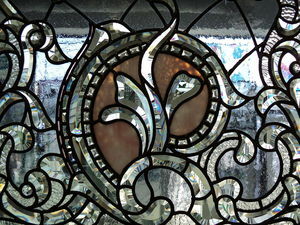 The Glass Studio in Toronto is one of only a few studios in all of Canada still offering this technique. 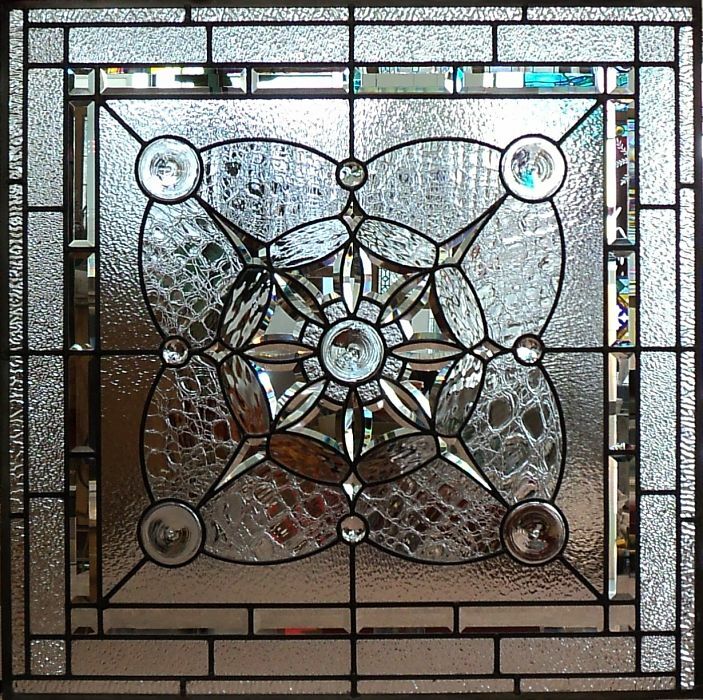 Regrettably, most commercial bevelled glass today is mass-produced with thin glass, in standard shapes and patterns called "clusters". 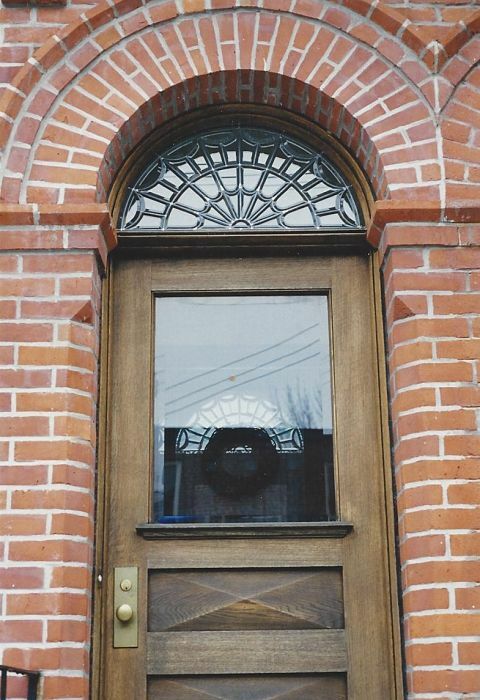 It's certainly cheap but it's a poor imitation of the best bevelled glass from a century ago. 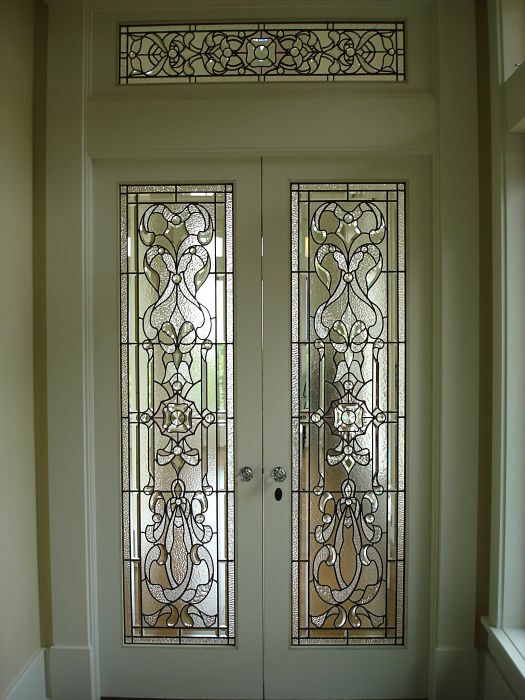 The difference is due to glass thickness, polishing techniques and design. In 1982, The Glass Studio was fortunate to acquire a set of three antique Henry Lange bevelling machines. Made in Chicago in the early 1900's, this machinery is capable of producing the best quality bevelled glass. Our stone smoothing wheel is a vintage 'Newcastle' stone from England - an incredible wheel from a long-exhausted stone quarry. It gives our bevels a brilliance different from those produced with modern diamond abrasive wheels. 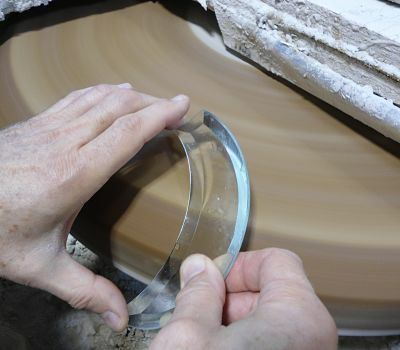 Hand-bevelled glass is produced in five stages - blank cutting, steel grinding, stone smoothing, cork polishing and then felt buffing. 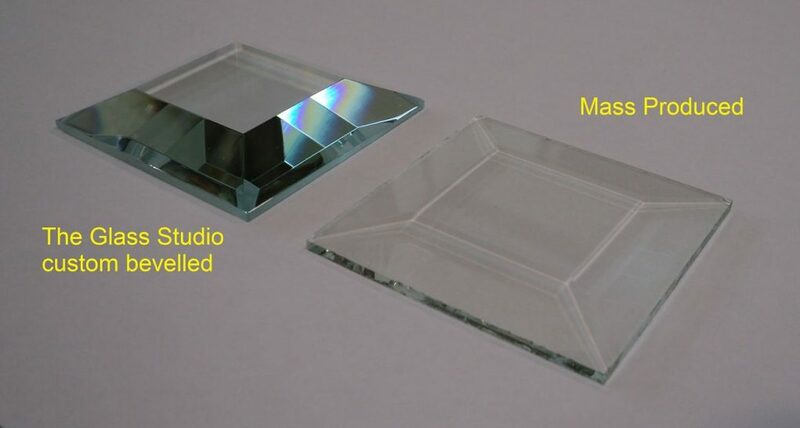 We use 8mm glass - twice the thickness of commercial bevel 'clusters'. A typical hand made bevel can take anywhere from 30 minutes to several hours to make, depending on shape and difficulty. Our bevels are finished with optical grade cerium oxide for incredible brilliance. 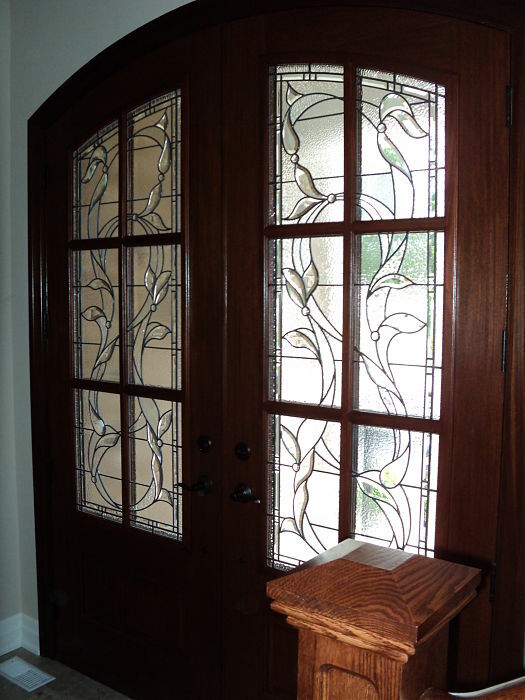 A few examples of our work featuring our custom hand-bevelled glass. 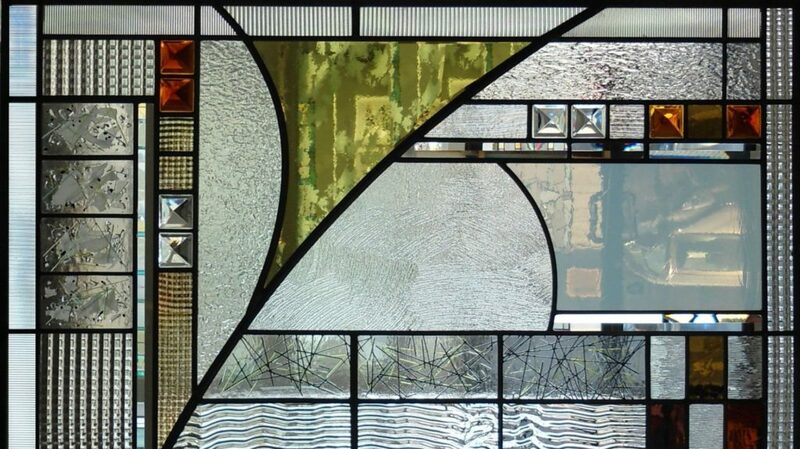 Click Stained Glass for more.